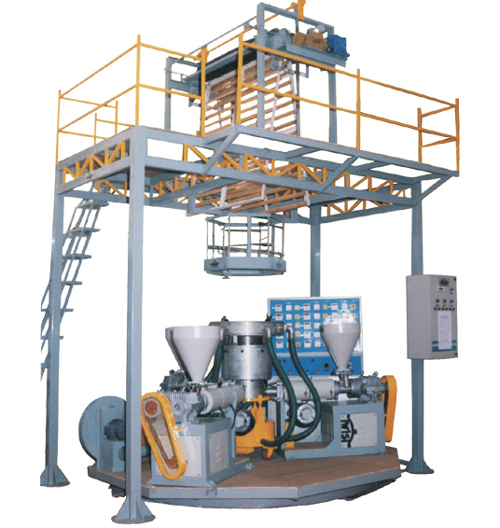 Blown Film Plants Manufacturer/Suppliers fo Multi layer Co-Extrusion Blown Film Plant & Co-Extrusion Multi layer Blown Film Plants Exporter from Ahmedabad-Gujarat-India. In order to fulfill the requisite demands of the clients, we manufacture finest range of Multilayer Co-extrusion Film Plant from India. Moreover, our offered range of multilayer blown film plants is ideal for crucial application in flexible packaging. It is also applicable in making Multilayer Films for shopping bags, food packaging, Multilayer stretch film, pouches for oil, milk, ghee etc.